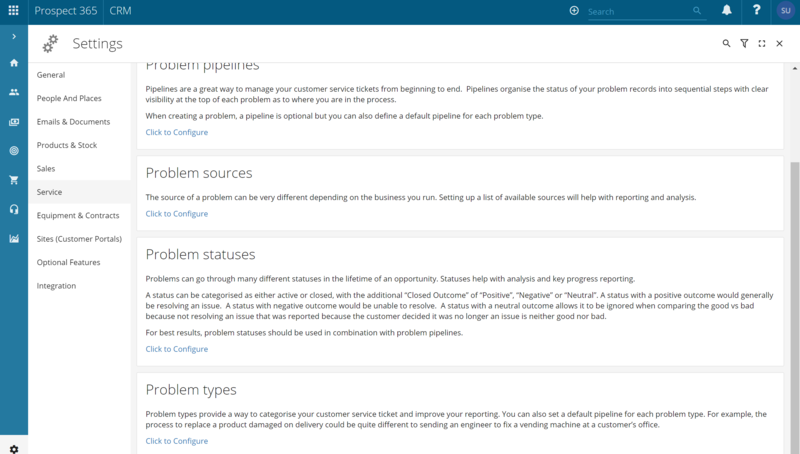 The Problem Type features on a Problem record, helping you categorise what type of customer query the Problem involves. For example you may have customer queries related to delivery or the installation, so it can be helpful to differentiate these types of problems when reporting. In order to configure the Problem Types within the CRM, you must have the correct level of authority attached to your CRM login. If you do not. then please contact the Customer Services Team or the Key CRM user within your business. To edit your Problem Types, click on the settings icon in the bottom left-hand corner. Once within the Settings Centre, navigate to the Service section & scroll down until you reach the Problem Type configure option. By selecting the 'Click here to Configure' link the Configure Problem Type window will open. Within this window all of your current Problem Types will be listed. To add a new one click on the + icon in the top right-hand corner. 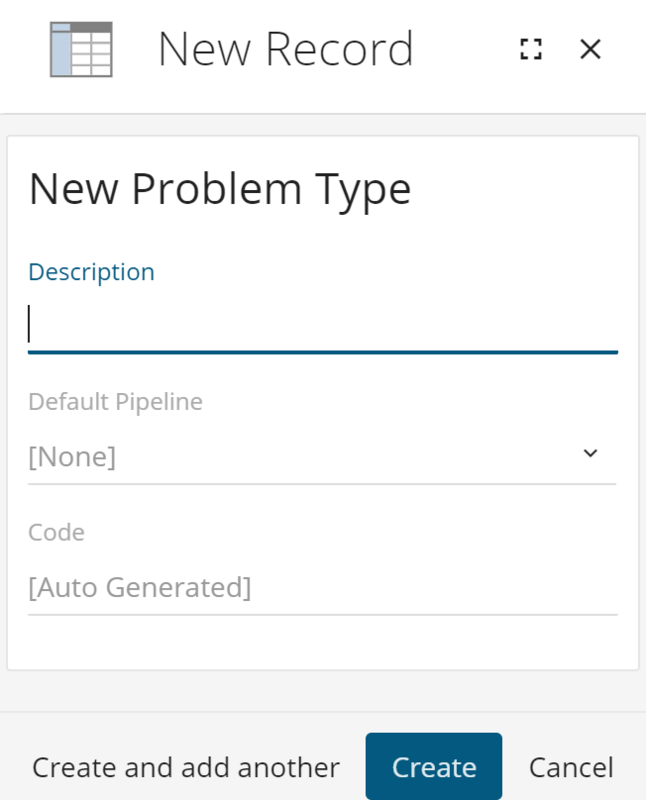 You will now be able to start filling out information about your new Problem Type. The description should be relevant for all CRM users & helpfully summarise the Problem Type. If this particular Problem Type will always use a certain Problem Pipeline, then you can set a default Pipeline for this Problem Type. Once happy with the information entered click 'Create' & your new Problem Type will be created. To obsolete any old Problem Types, click on the pencil icon against the required status & click 'Obsolete'.